I have two cards for you today. I wanted to use up the Echo Park For The Record Scraps before moving on to sth else and cards were the perfect choice (I still have one complete sheet of patterned paper but it's got flowers I can probably use to embellish LO's made with any other paper). 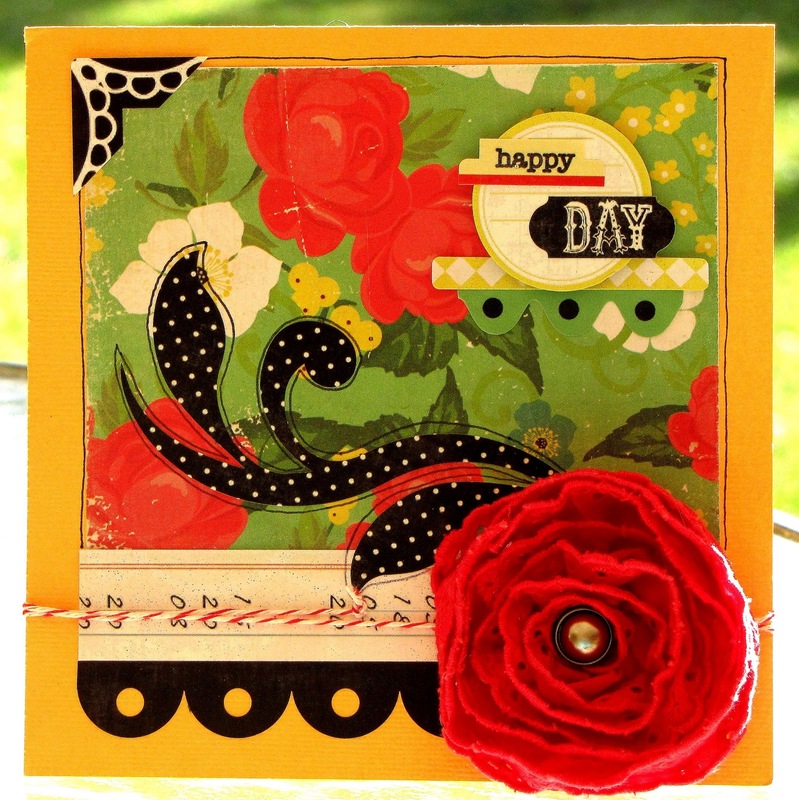 I made a card for Practical Scrapper's feature for today: rolled flowers. I made several small flowers, but they somehow didn't look right when I put them on the page, so I finally made a big one. I've also made a card for Let's Scrap's challenge 89. For this challenge you have to go to the gallery and look for the LO/card that was posted right after your last post, and scraplift it. If you haven't posted anything to Let's Scrap yet, you can then choose any layout/card from the gallery and scraplift it. 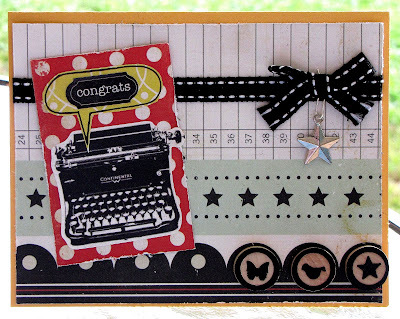 This is the card I made, using For The Record - again! You can still play until Friday, it's a fun challenge, so why not join? Love that rolled flower! Gorgeous cards, as always. You amaze me with the fabulous cards you make. You must have a ton!